San Diego, located in Southern California, not far from the Mexico border, is the oldest town in California, founded in 1769. It is best known for its beaches, parks and warm climates, but that is not all it’s good for. 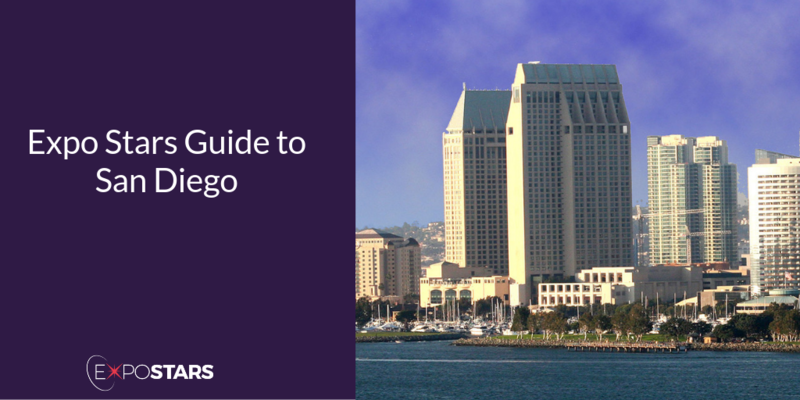 With a modern convention centre, a wealth of new hotels and an easy and accessible airport San Diego really pulls out all the stops for business travellers. Forbes recently named San Diego the best place in the US to start a business. When you combine the weather with the opportunities that such a well placed and well connected city afford the average entrepreneur, it’s not surprise that so many startups are choosing to start up there. Because you will be showcasing your wares in a world class, bayside convention center, located in one of the nation’s most vibrant urban cities. With its connections to Silicon Valley and the numerous after work activities on offer, there is so much more to be done in San Diego that just work. The San Diego International Airport is conveniently located just north of downtown and services both national and international destinations. Some of San Diego’s most popular attractions are the free ones: the museums, gardens and Spanish Colonial-style architecture that can be found in Balboa Park. For the history buffs and a little shopping trip, visitors can wander the streets of Old Town San Diego State Historic Park or through the Gaslamp Quarter. But more importantly, San Diego has more than 68 miles of beaches in and around the city for sunning and surfing. Dija Mara - the menu is based on Southeast Asian cuisine but rooted in California sensibilities. Wrench and Rodent - a feast of seafood awaits. Market Restaurant & Bar - the menu is based on what is available seasonally, at the local farms.